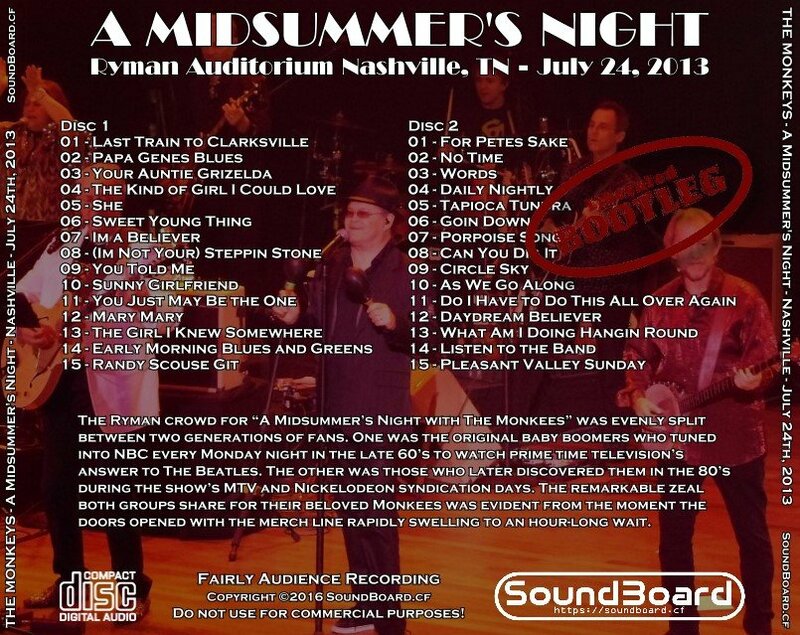 The Ryman crowd for “A Midsummer’s Night with The Monkees” was evenly split between two generations of fans. One was the original baby boomers who tuned into NBC every Monday night in the late 60’s to watch prime time television’s answer to The Beatles. The other was those who later discovered them in the 80’s during the show’s MTV and Nickelodeon syndication days. The remarkable zeal both groups share for their beloved Monkees was evident from the moment the doors opened with the merch line rapidly swelling to an hour-long wait. This tour featured Mike Nesmith’s return to the Monkees live show after choosing to stay off of the road for their previous four reunion tours. The February 2012 death of Davey Jones, however, still meant that few of us had or will ever get the chance to see all four perform live together. Jones’ presence tonight was both heartfelt and visual by way of video which predominantly ran throughout the night. Vintage clips were used to open the show as well as provide brief intermissions. During the set, they quite cleverly presented a “now and then” juxtaposition to the stage performance with musical segments from the TV show contrasting the song being played. 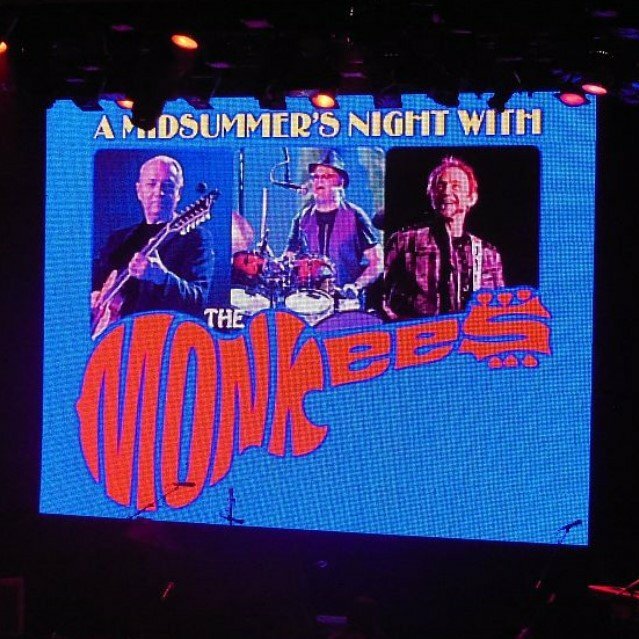 The Monkees took center stage at 7:40PM with “Last Train to Clarksville” backed by a seven-piece ensemble of players and singers. The remainder of the two-hour show followed a closely chronological order of the band’s recorded history. Their 30-song set list left little disappointment of their leaving out a hit. A good portion of the show was devoted to their highly-creative middle-period where they exercised more control over both their songwriting and playing. After “Nez” closed the set with the Nashville sounding “What am I Doing Hangin’ ‘Round?” Micky introduced their accompanying players while the encore opened with the fittingly titled “Listen to the Band.” The night then finished with my personal favorite, and perhaps their best number, Goffin / King’s “Pleasant Valley Sunday.” The show that started early also ending early at 9:30PM leaving everyone enough time to do one more thing before they went home—finish shopping at the merch table! A Midsummer's Night 0 out of 5 based on 0 ratings. 0 user reviews.